From the adventurous and challenging to the refreshing and reinvigorating, the Hook Peninsula offers a myriad of new experiences for all ages and tastes. Cut through the ocean waves for a day’s kite surfing or go kayaking through forgiving tides. Scuba diving in the depths around the famous Lighthouse or lose yourself rod in hand in remote bays in search of hard fighting silver sea bass. Test your mettle quad biking, rock climbing or abseiling from rugged ancient cliffs or cycle at your leisure through scenery that will leave you breathless. Abbey Par 3 Golf near Fethard-on-Sea in County Wexford is 40 acres of well groomed parkland. Footie Golf Course and 18 holes of Crazy Golf, great for small kids and big kids too. Enjoy an amazing day out fishing for all the family at Loch Mahon. There are four beautiful spring fed lakes to choose from, something to suit all abilities. Heritage Tours Wexford has been in operation for over 10 years. During the summer season we make it possible for you to visit some of the flagship attractions on the Hook Peninsula with our Hook Highlights Bus Tour. It is the only bus tour to the Hook bookable on a seat by seat basis. Taking in The Dunbrody Famine Ship in New Ross, as well as the iconic Hook Lighthouse and also including Tintern Abbey or Loftus Hall. 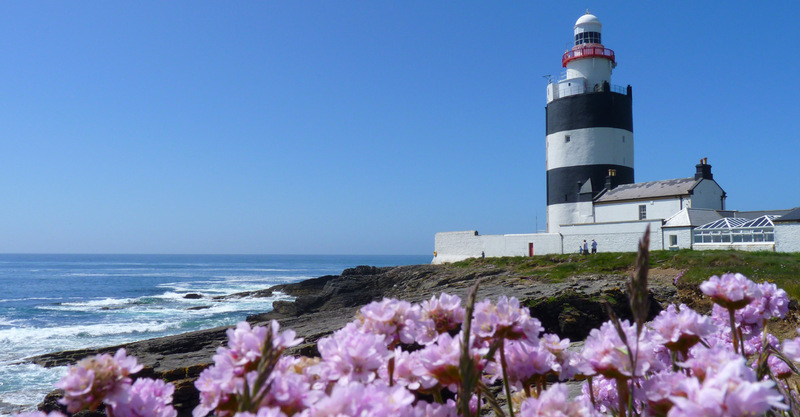 Welcome to Hook Head Adventures – an authentic Eco Adventure Tourism Company based in the South East of Ireland. 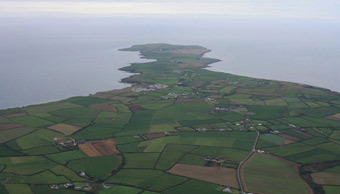 The Hook Sub-Aqua Club is based in the Hook Peninsula 20 miles south of New Ross. Diving Enthusiasts will love the Hook area for its exceptionally clear waters (up to 35-40 feet) and the diversity of wrecks. Why not come and feel the buzz and thrill of the fastest growing watersport in the world, based out of our Kite and Stand-Up Paddle (SUP) Boarding centre on Duncannon beach we teach Kitesurfing and SUP to Kids and adults all year round. 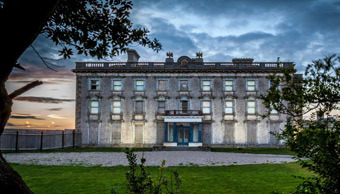 Visit Loftus Hall and take a tour of this abandoned haunted house with a dark and troubled history. The house remains in its abandoned state since the departure of its previous owner. Let our tour guides take you through the ground floor of Loftus Hall on an interactive tour. Wexford’s longest established Riding Centre is A.I.R.E approved and is staffed by enthusiastic, highly skilled, qualified people. We offer well-trained horses and ponies, all with superb temperaments, and excellent facilities including both indoor and outdoor arenas, show jumps and cross-country fences.